Prof. Nandeesha K. has completed Master’s degree in Economics from Bangalore University and M.Phil. degree in Economics from Kuvempu University, Shimoga. 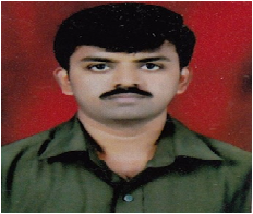 He obtained Ph.D. from Karnatak University, Dharwad. He has completed K-SET examination and is the recepient of UGC-UPE Research Fellowship and Indian Council of Social Science Research (ICSSR) Doctoral Fellowship. He has over six research publications and presented many papers in conferences and seminars.